You will never find a place like this anywhere else, lest one finds with a burning lamp. Coming to West Bengal, truly feels like a return to one's own home. It doesn't matter who you are or where you are from, the Bengali air will embrace you wholeheartedly, as soon as you will step down on the land of Rabindranath Tagore. It is easy to blend with Bengal's present save you keep your ropes tight. For this eastern state, moistened by river Ganges will take you swiftly to its colonial past - through the portcullis of Dutch and English fortifications, seeped in the glory of old Nawabs into an era that still basks in the ecstasy of Sri Chaitanya. It is a state that has seen it all - the agile Dravidians who reigned 4000 years ago to the red coloured battle grounds of Plassey and then the British Raj and the echo of Swadeshi (independence) that still paints the walls of this state with red coloured Communism. Every thing is different here... the people in their 'dhoti-kurta' style reflecting true 'bonediyana' (opulence), the food that relishes the taste buds until the fishy aroma evaporates from the palate, a language that is as sweet as honey, a literature that will make you cry by moonlight coupled with the zeal that ignites fire in every soul. It is a place that goes fervent about football as about politics, people who are as enthusiastic in their religious festivities as in celebrating their bards. Wow, this is a place that will give you a vacation from all your dreams. Because, West Bengal, 'the queen of all' is a dream in itself. Once known as 'Calcutta', the riverine city of Kolkata has earned many sobriquets, including 'The City of Palaces' and the 'City of Joy'. This city definitely shows enthusiasm, gives its denizens a reason to live. Offering an easy blend of past, present and future, Kolkata grew up on the banks of the River Hoogly in the great Gangetic Delta, from three sleepy villages - Sutanati, Gobindapur and Kolikata - known for their artisans, into the nerve centre of the British Empire. The Colonial Raj aroma is strong here, and you can't miss the English fragrance still floating in the air. Start your Kolkata itinerary under the humoungus Howrah Bridge, the venerable cantilevered miracle of the 19th century. Go for a memorable boat cruise and you will be overwhelmed to see the brilliantly lit Vidyasagar Setu (the largest cable-stayed bridge in the world) dazzling like a beautifully dressed bride. The colonial heritage is strong here - you can't miss the iconic Victoria Memorial, built in 1921, its shape symbolic of the Kolkata skyline. Visit the three storeyed Raj Bhawan, once the residence of the Governer General (Latsaheb), now a silent sentinal of the pre-independence bygone glory. If you are interested in arts, drive to 'Jorasanko Thakurbari', the birthplace of eminent Bengali poet Rabindranath Tagore. One can see innumerable memorabilia of the Tagore family and Kolkata at that time together with the charm of fine arts at the Art Centre, nestling inside the mansion premises. Remember to make a day trip to the famnous Botanical Gardens at Shibpur, Howrah - the largest and the oldest in India, its pride resting on the shoots of the awesome 250 year old banyan tree. Ask your tour operator for a trip to the famous Bhagbatpur Crocodile Project, where you can see many species of crocodiles - with their mouth wide open and tears in eyes - bathing in the warmth of the tropical sun. Spend an afternoon at Mayadwip, the hatching grounds of the endangered Olive Ridley turtles. The tour through labyrinthine channels, trimmed by paddy plants is a memorable experience, before your steamer dives into world's largest delta, the conference room of Ganges and Bay of Bengal. And should someone offer you as pot of the jungle honey, accept it with alacrity. Though alternative arrangements for going to Sunderbans from Kolkata are possible, these are often tedious and time consuming. The best way for tourists is to go on a cruise conducted by the State tourism authorities. For more information, one can contact their office at 3/2 BBD Bagh, Kolkata. A sea side extravaganza is synonymous with vacationing among Bengalis and it is said that they can't digest their lunch without a stroll beside the ebullient waves of Bengal. Within an easy day's journey, there are a bouquet of pristine beaches that enthrall every tourist to this queenland. Take a bus from Esplanade to visit Digha, nestling at 185 km from the state capital at Kolkata. With plenty of casurina trees, and the azure waters rushing to embrace the golden sands, both the land and the sea cast a picturesque spell on every traveller. Satiate your culinary thirst with a wide array of delicious sea food Bengali cuisine, that is as tasty to your tongue as to your memory. About 10 km from Digha is Shankarpur, where hordes of fiddler crabs advance to your feet and back into the breaking waves. If you happen to visit West Bengal in January, remember to visit Ganga Sagar, the confluence of the Holy Ganges and the fathomless Bay of Bengal. The whole area springs up to life during the Ganga Sagar Mela on Makar Sankranti, where thousands of devotees from all pockets of India hem in to celebrate the grand occassion. Come Autumn, and you have to recharge all your senses. Smell the sweet fragrance of 'Shiuli', hear the euphony of 'dhaks', behold the divine deity of Ma Durga, taste the irresistible 'rosogulla' and feel the charm of a Bengali Pujo, during the most celebrated Durga Puja ceremony in West Bengal. It is a time when the whole state reverberates with the aura of festivities with a newer vision - new clothes, new places, new friends.. everything is eye-catching, everything that should ask for a holiday. Visit the famous Dakhineshwar Kali Bari that still harbours the memory of Sri Ramakrishna. The temple attracts numerous pilgrims from all corners of the state who come to share their gaiety with 'Ma'. And on the western bank of the Ganga, look for Belur Math, established by Swami Vivekananda. Its impressive facade resembles a church from one side, a mosque on another, a Hindu Temple on the third side, while the fourth is reminiscent of Buddhist stupas and 'Viharas' - a striking architectural exempler of universal cult of secularity. 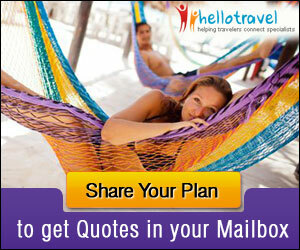 Getting to West Bengal is as easy as thinking of visiting this holiday destination. 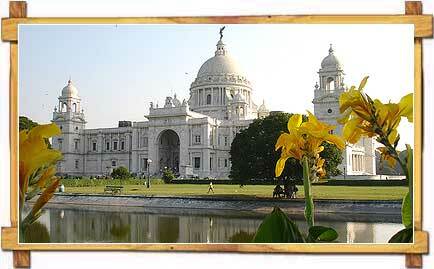 The state capital Kolkata, is a major gateway to Nepal, Bhutan, Bangladesh and South East Asia. Direct flights connect Kolkata with Katmandu, Paro, Dhaka, Bangkok, Singapore, Dubai, Bahrain, Muscat and London. The city is also well connected by flights to all major cities on the domestic air network. The Netaji Subhash Chanmdra Bose Airport, 20 km from the city, is one of the best in the country with separate national and international terminals. The international terminal has also a duty free shop and foreign exchange facility. Pre-paid taxi services are available, but you can also go for chauffer driven cars, available just outside the airport. Kolkata is also the base for two major railways in the country - the Eastern railway and the South-Eastern railway - connected to either Howrah Station or Sealdah Station. There are daily Rajdhani Express services to New Delhi by separate trains from both the stations. There are many natioanl highways slicing the heart of Kolkata. One of them is NH 34 from Guwahati, via Siliguri and Malda. The city is also well connected by bus services from almost all parts of the state, and Orissa and Bihar. Most long distance buses leave from Esplanade Terminus, just off Chowringhee Road, situated at the heart of the town. Kolkata, the capital city of West Bengal, was the first port of call of the British East India Company. The most important city of British India before the company shifted base to Delhi, its contribution to the Independence movement still makes the elderly nod in nostalgia. A name that brings goose pimples to any natives. 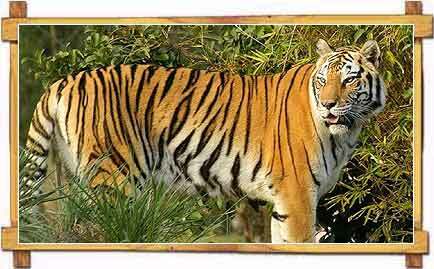 It is a land where the land is ruled by the Great Royal Bengal tiger, and crocodile is the king of water. Enjoy a memorable boat cruise and a few days stay on the shimmering waters and behold Indian wilds from a close perspective. West Bengal provides an excellent range of beaches to suit everybody's needs. Some beaches are unspoilt pristine stretches of sand, ideal for the solitude seeker, while others pulsate with crowds basking in the brilliant sunshine. This unique mixture of sun, sea and the fun, coupled with the essence of local culture gives each Bengali beach a distinct identity. 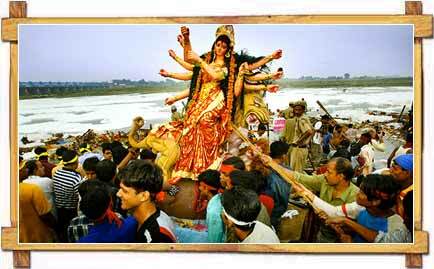 Plan a holiday trip during September-October and you can be a part of the world famous Durga Puja celebrations. Experience the Bengali community from a closer perspective, visit to the decorated pandals and eat a wide array of Bengal delicacies for a memorable holiday. Put your shoes on to explore the bygone glory of ancient kingdoms finding their way in many splendid architectural pleasures all over South and East India. The itinerary along the banks of holy rivers brings you the yoga experience at Varanasi Ghats and the divine charm of visiting the Lord of the Universe at Puri. Let yourself go wild amidst the deep forests and picturesque rivers of North-East India before savouring on the ancient treasures still preserved by the tribals in these parts. Nature at its most pristine, adventure most thrilling, civilizations antique, Andaman is surely a heaven for scuba divers. Rich in culture and history, Sikkim is a land where search for enchantment, tranquility and adventure ends. 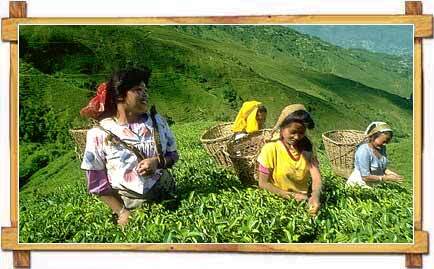 A Brahmaputra valley where you can unleash yourself while savouring the best flavours of tea in the world. The only city in the world that is inhabited for 4000 years, Varanasi, is known for its magnificent Ghats on river Ganges. .